We are available to treat your child over the summer! You can download mobile clinic registration forms here. Please complete both the registration form and the HIPAA form to allow us to see your child. If you have been told that your child needs a referral to see a specialist (such as an oral surgeon, pediatric dentist, or orthodontist) please complete this release of records form. Forms can be delivered in person to the mobile clinic, to our West Park office, or by fax to 336-903-7313. If you would like your child to be treated at school on the mobile dental clinic, complete both sides of the registration form sent home with your child. After your child's exam, we will send home a consent form that must be signed and returned in order for treatment to be completed. 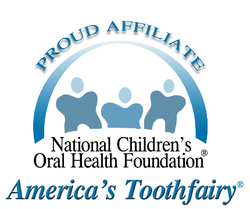 As treatment is done, you will also receive progress reports about your child's visits to the mobile dental clinic.